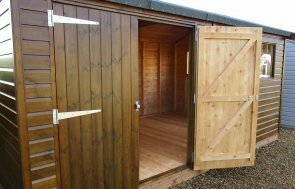 Our customer was looking for a relatively small size Garden Shed to use as a garden office. 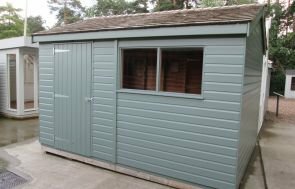 She chose a 2.4m x 3m Superior Shed with an apex roof finished in grey slate effect tiles, which was complemented by a pebble and ivory Valtti Paints scheme with opening Georgian style windows for maximum aesthetics. As she was using it as an office, it was important to her that it looked inviting and inspiring and chose a painted interior, complete with wall, floor and roof insulation to enable her to make use of the building all year round. An electrical pack enabled her to run computers and technology and a security pack ensured that her sensitive files and office equipment remained safe and secure. 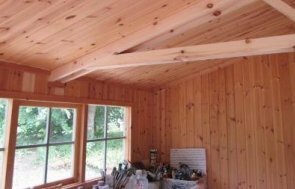 Based from our Factory HQ in Norfolk, our team of joiners hand-build each component of our garden buildings using only FSC® certified timber of the finest quality, sourced from our sawmill partner in Northern Sweden. 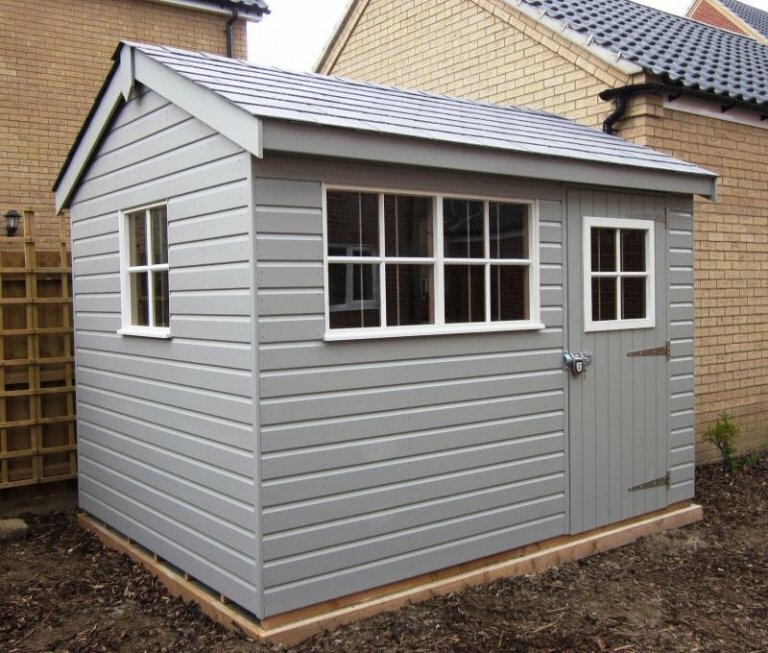 If you would like to discuss any specific requirements for your own garden shed, please Request a Callback, Contact Us or call us on 01760 444229 and one of our sales team will be happy to talk through the options available to you. We'd also love to have you visit at one of our seven UK Show Centres.